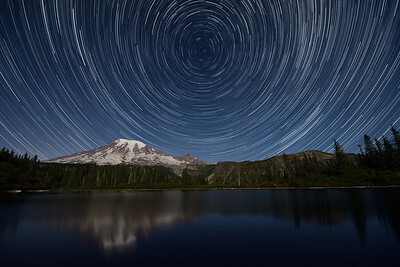 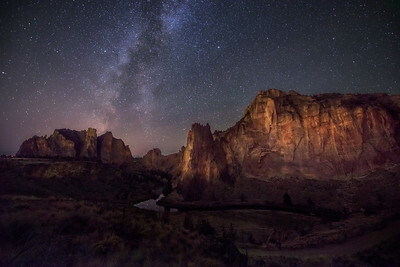 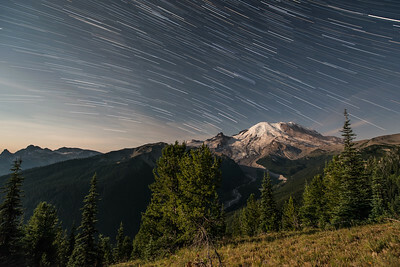 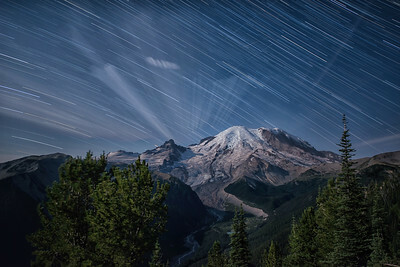 The sky is filled with stars over Mount Rainier on a dark summer night. 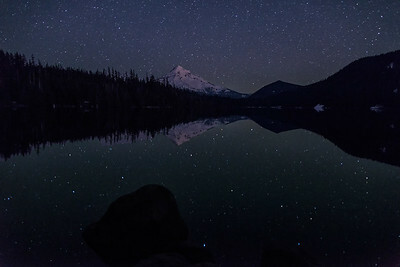 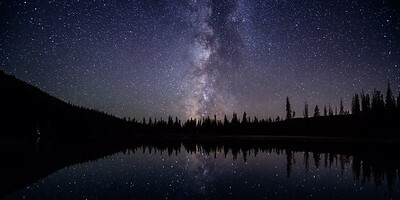 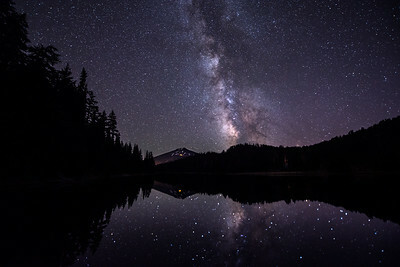 Lost Lake reflects the sky full of stars and Mount Hood. 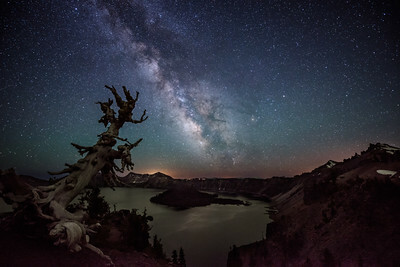 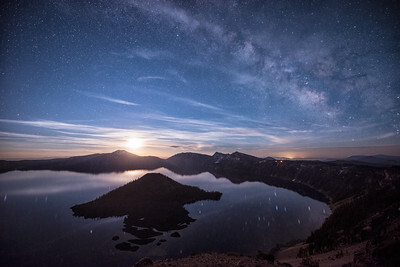 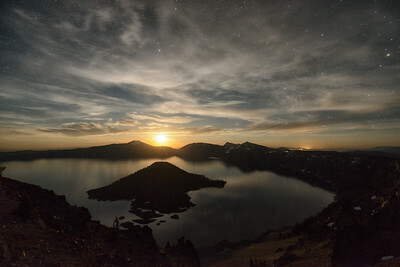 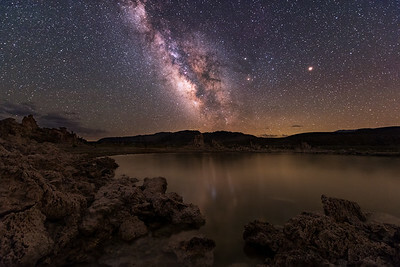 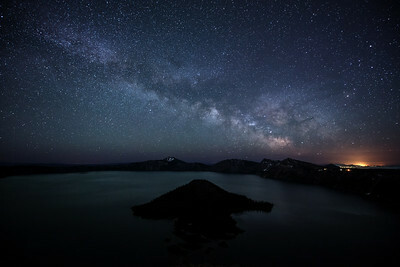 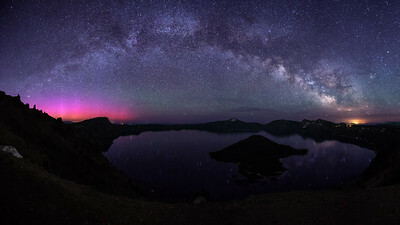 The Milky Way rises over Crater Lake as the Aurora Borealis shines on the northern horizon. 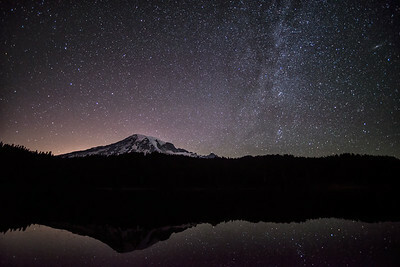 The full moon illuminates Mount Rainier and Bench Lake as the earth rotates under the night sky. 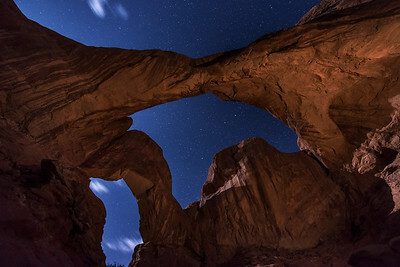 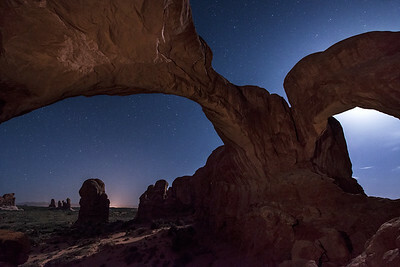 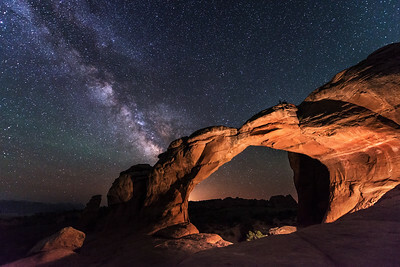 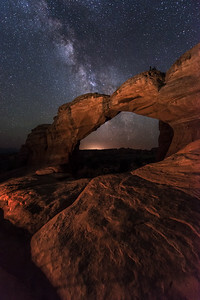 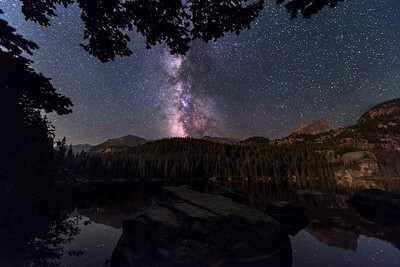 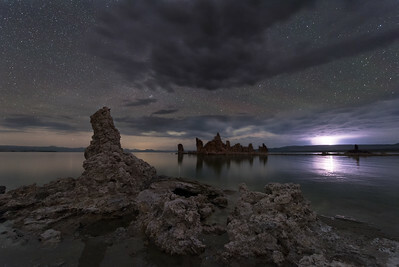 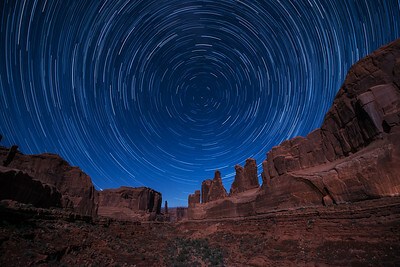 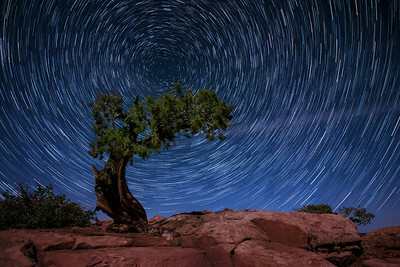 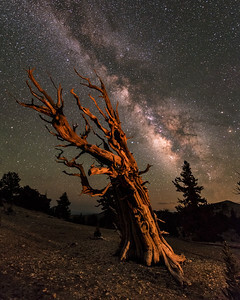 The rising full moon illuminates the landscape as the stars move across the sky. 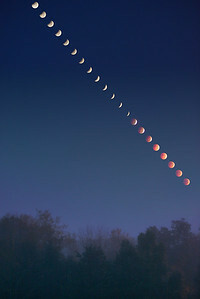 This is a composite image of the progression of the total lunar eclipse as it was setting in the west on the morning of October 8, 2014.